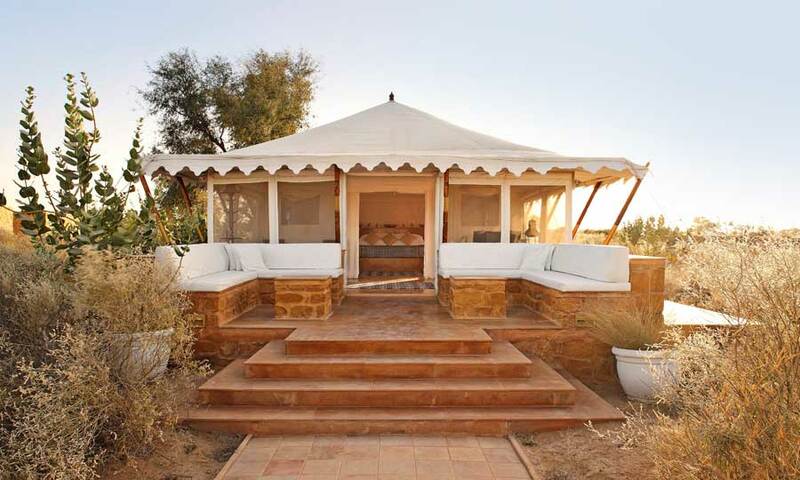 The Serai, a luxury camp on the outskirts of Jaisalmer, is a true oasis in the desert. 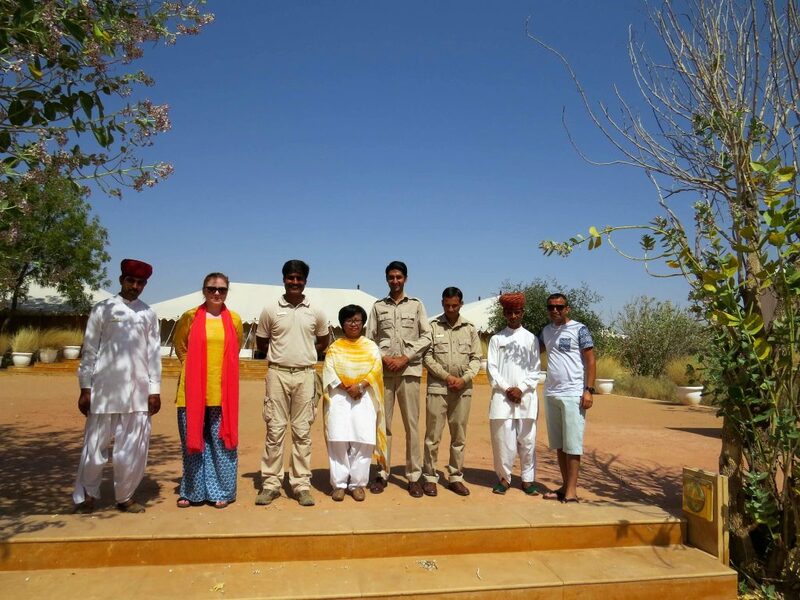 For many of our guests, a stay here at The Serai soaking up the majestic Thar Desert completes their experiences of Rajasthan, serving as a chance to completely relax and unwind. Sprawling over a vast hundred acres of unspoiled golden sands, this Relais & Châteaux property offers twenty one luxurious canvas tents, each offering all the facilities one would expect at a hotel rather than a tent; including a private veranda, living area, spacious air-conditioned bedroom and stunning en-suite bathroom. 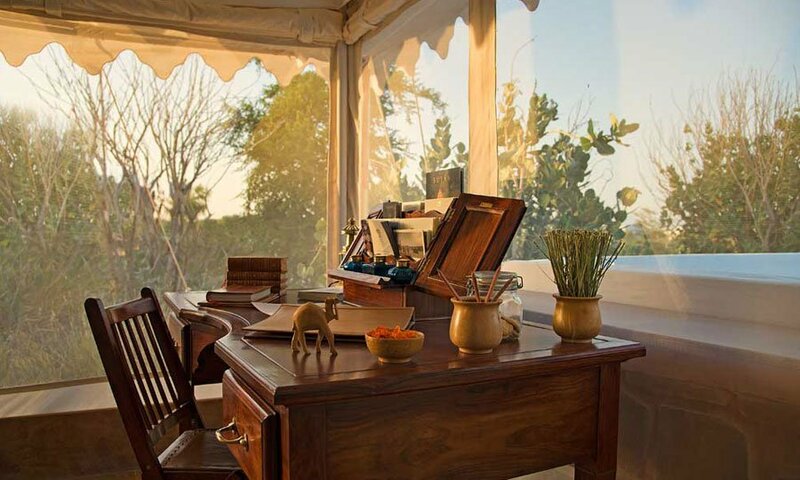 Traditional and locally-sourced materials, such as Jaisalmer stone flooring and hand-crafted dhurris (rugs), combined with contemporary luxurious such as silent air-conditioning and iPod docks, The Serai blends seamlessly into its surroundings whilst ensuring a comfortable stay. 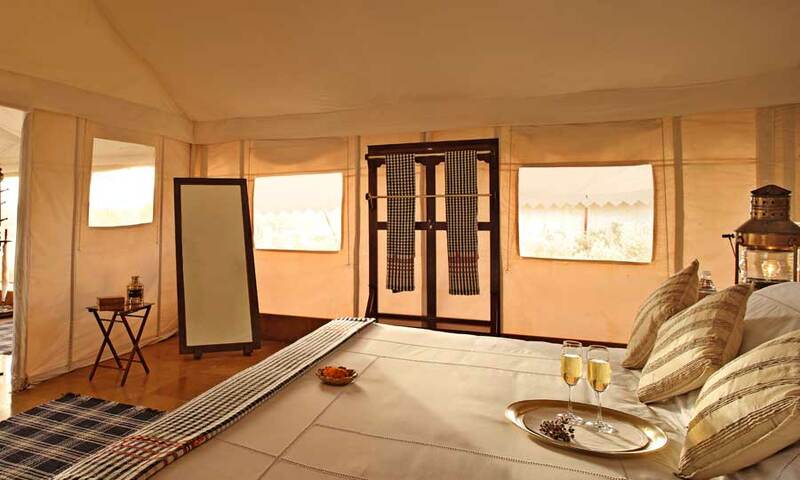 Best of all, many tents even come with their own private Jacuzzi for the ultimate in luxury desert living. The Serai serves a delicious menu of refined local delicacies, alongside more familiar international flavours. The bar, a cosy corner of the main tent, is an ideal place to relax, discuss experiences with other guests, or enjoy flicking through one of the carefully placed and locally themed picture books. The overall effect is something out of a dream: romantic and completely magical…” – Conde Nast Traveller. 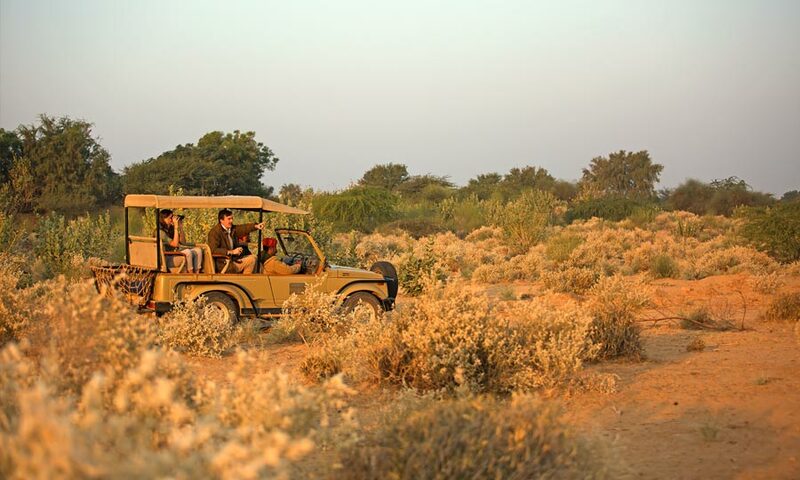 “One of those out-of-this-world experiences that are very rare” – Vogue India. 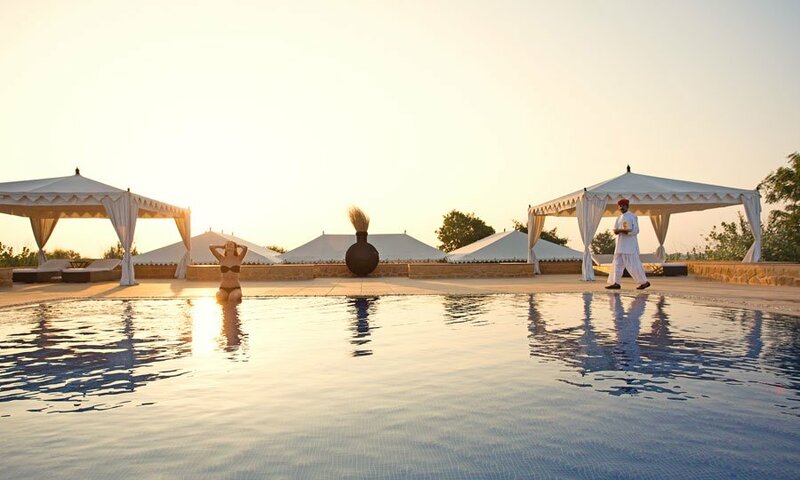 This peaceful property is seemingly in the middle of nowhere, but is conveniently just forty minutes away from Jaisalmer. 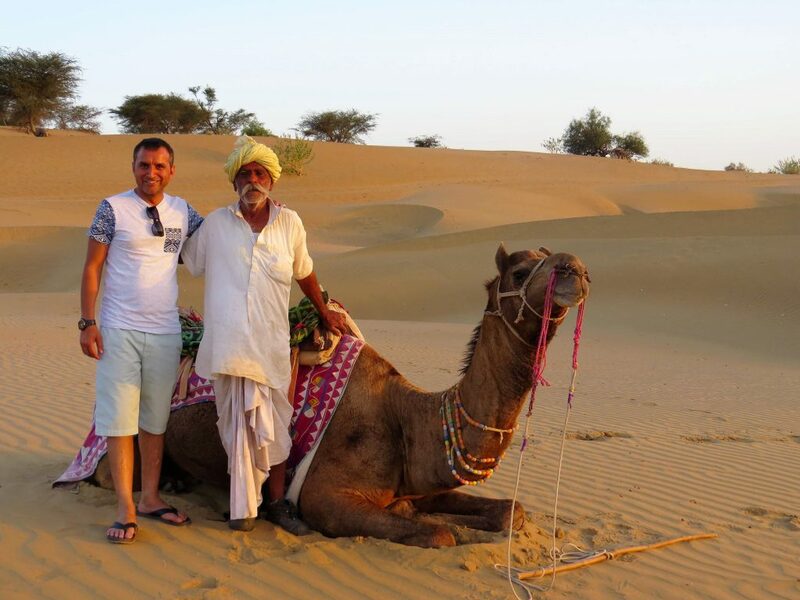 It makes an ideal base for exploring the splendid fort and havelis by day. 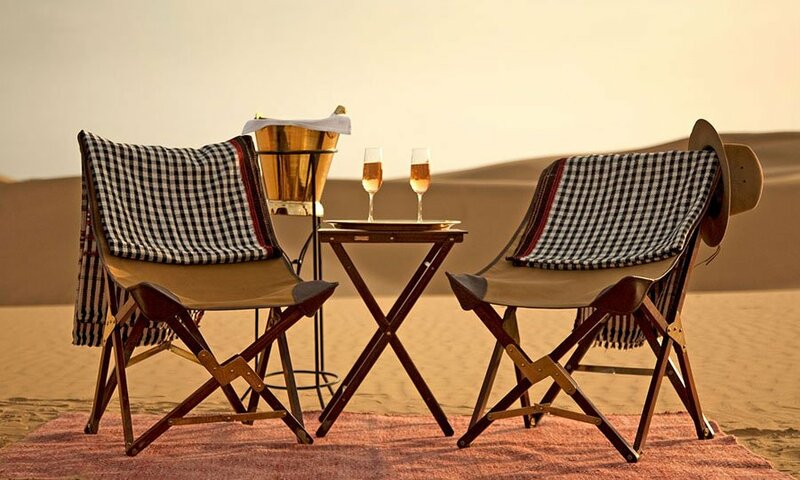 Evenings at The Serai are magical, with a camel trek at sunset followed by sundowners on the dunes, or a private busy dinner in the desert. 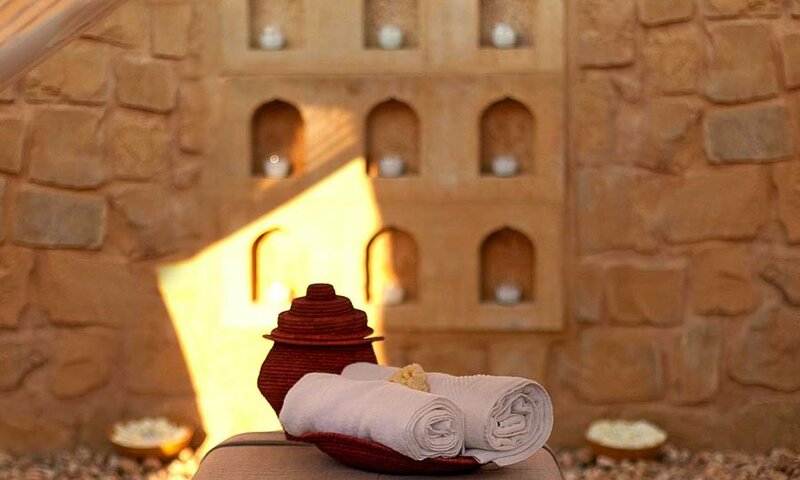 A treatment at the Raison d’Etre spa completes experience. How does a stay at The Serai best fit within my itinerary? 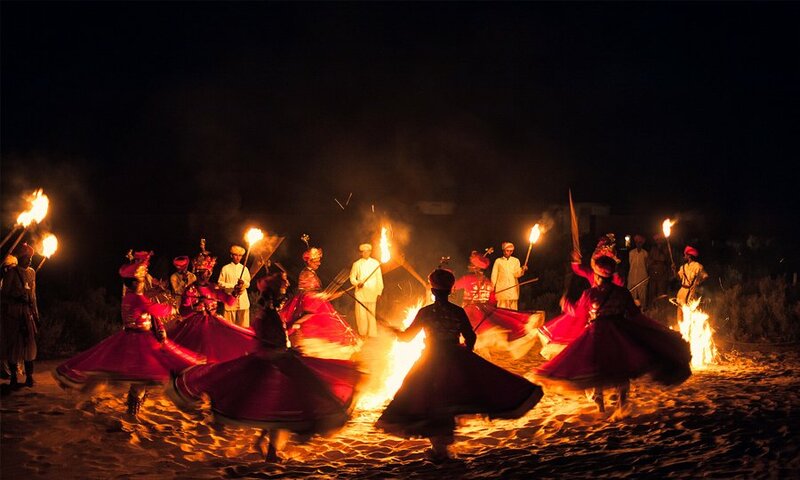 Jaisalmer is connected to both Jaipur and Delhi by a short domestic flight (1.5 hrs). Should you prefer to drive, Jaisalmer is within comfortable distance of Jodhpur (5 hrs), Nagaur (5 hrs) and Bikaner (6 hrs). 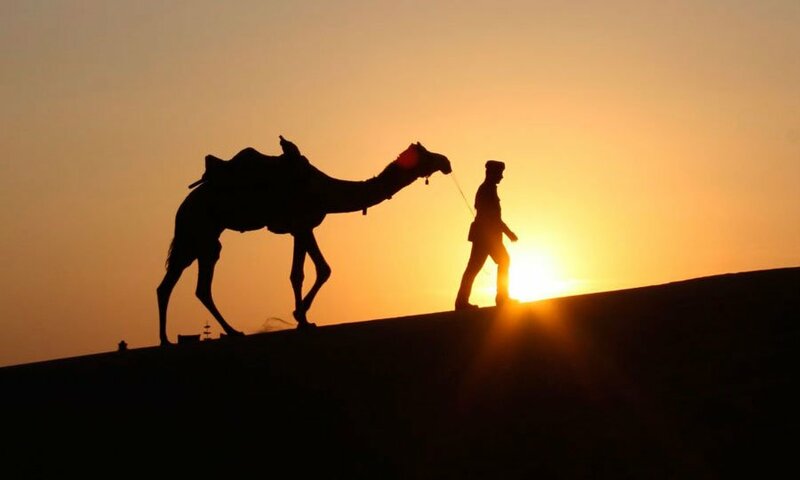 Jaisalmer is in the far west of the state and somewhat trickier to reach than other destinations, though for many this desert experience completes their time in Rajasthan. 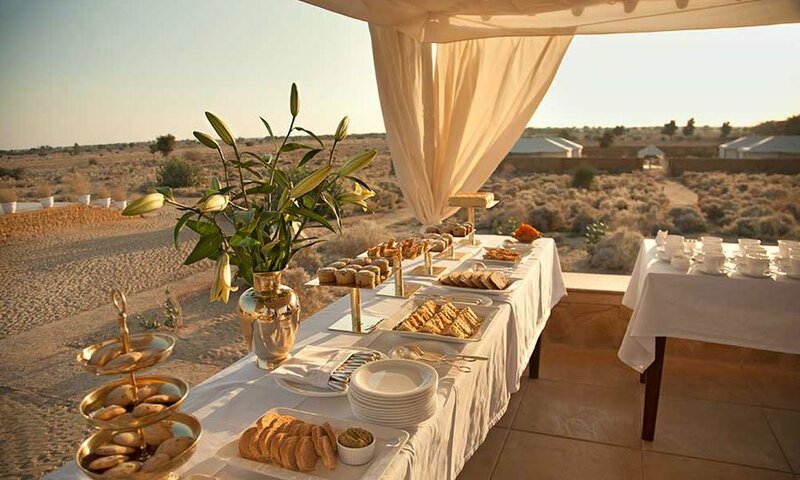 Like all the properties we hand-pick for our discerning guests at Indian Excursions, we have stayed at The Serai and have first-hand experience. 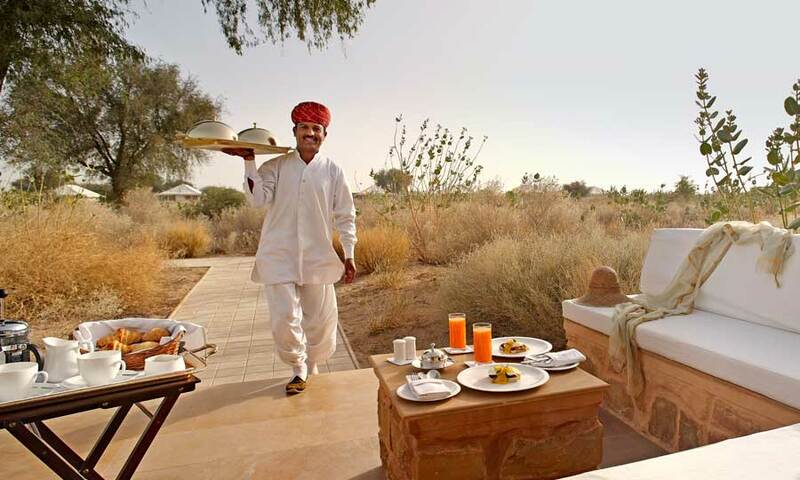 If you’d like to include a stay at The Serai, Jaisalmer, on your upcoming trip to Rajasthan, please do get in touch. As the experts in tailor-made tours of this region we’d be an ideal match to assist with your arrangements.